In Europe, some Catholic bishops seem to be trying to heal the hurt that LGBT people have experienced, sometimes hurt caused by church leaders. 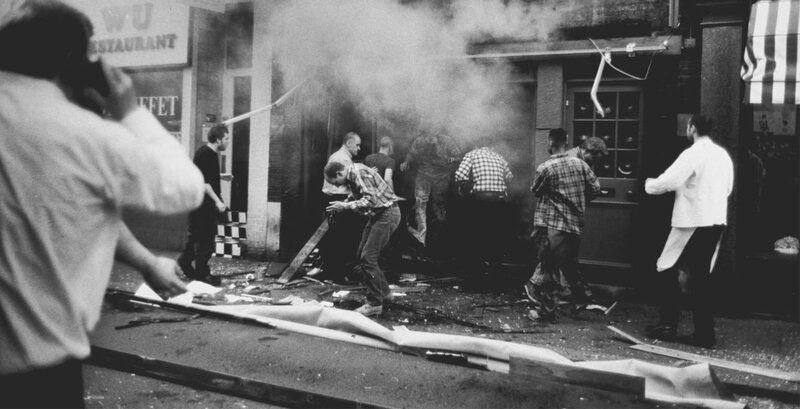 In England, the gay community recently marked the 15th anniversary of the Soho Bombing, when 3 people died, including a pregnant woman, over 80 injured, when a device exploded in the Admiral Duncan Public House (a gay bar). The event galvanized the LGBT community in that nation. “Marseille Archbishop Georges Pontier, president of the French bishops’ conference, urged his fellow bishops to avoid being ‘manipulated by social movements’ when he opened their spring plenary meeting. The examples of these British and French prelates should be emulated by Catholic bishops here in the United States. Harsh rhetoric opposing marriage equality from U.S. prelates such as Archbishop John Nienstedt of St. Paul, Minnesota, and Bishop Thomas Paprocki of Springfield, Illinois (to name a few), have alienated many Catholics. Reconciliatory statements and gestures would go a long way to healing the hurt that many Catholics, LGBT people and allies alike, have experienced by so many harmful messages. Catholic School Expels LGBT-Rights Speaker; Responses Provide Lessons for Us... Are Catholic Nations Friendlier for LGBT People?